The first conservation projects supported by a new trust fund will go to projects designed to support a range of green initiatives, including those that benefit watersheds, habitats, wildlife and conservation planning, Premier Brian Pallister announced Monday. The province will tap the Conservation Trust for $2.2 million to help fund the initial 41 projects. The initiative is one of the key commitments of Pallister’s green plan, which was announced in 2017 and has since lost its tent pole pledge of a provincially run carbon tax. Pallister told the media conference Monday morning at Assiniboine Park he appreciates the long-term benefits the Conservation Trust will foster. Each of the initiatives will receive as much as $125,000. The organizations are expected to raise two-thirds of the project’s cost. The projects include $125,000 to restore and protect more than 220 hectares (almost 550 acres) of prairie wetlands and grasslands, and $100,000 to create nesting structures for waterfowl. The fund will also invest in Brandon’s Riverbank Discovery Centre to restore a wetland damaged by flooding and install a boardwalk for visitors, while the 3,000-acre Kirkella Community Pasture will benefit from improved pasture productivity and better soil health. The permanently endowed trust fund, pegged at $102 million, is expected to generate $5 million every year that will be used to fund projects annually. The money is being managed by the Winnipeg Foundation, but the Manitoba Habitat Heritage Corporation chooses the grant recipients. “This is a visionary and enduring approach that is setting a positive example for other provinces to follow,” said Karla Guyn, Ducks Unlimited chief executive officer. 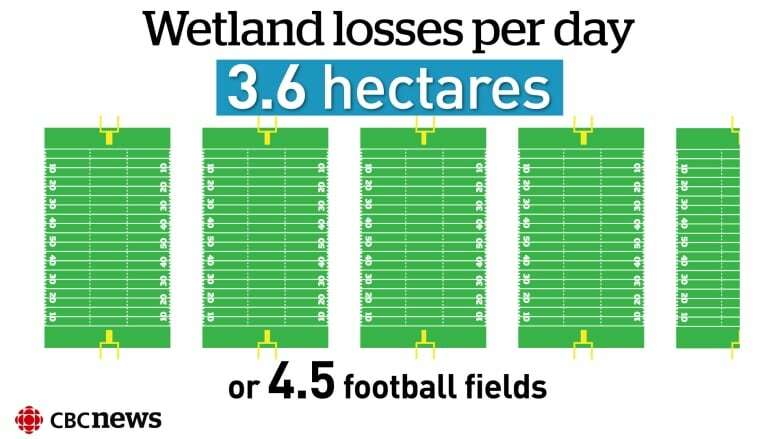 Based on 2016 figures, Ducks Unlimited estimates Manitoba loses 3.6 hectares of wetlands a day because of development. Pallister says it’s possible the fund can distribute more money on an annual basis than the $2.2 million it initially handed out.